The way artillery, especially field artillery, was manufactured changed almost completely between the year 1875 or so and 1885. In that shot ten years the typical artillery piece would go from something that had not changed essentially for hundreds of years into the deadly tool of war that we are familiar with today. Lindybeige goes down to Malta to video a demonstration of the essential drill for a 24 pounder naval or garrison gun. The American civil war of 1961-1865 and the Franco Prussian war of 1970 were perhaps the last time that artillery would be used in the traditional way. Here’s some links. Before 1870 or so a small country could build an artillery park just by setting up a foundry and melting all the local bronze and casting it into molds. The process hadn’t changed very much in centuries. There was a reason that the nobility of Europe was always having all that bronze statuary founded. All that statuary and things like large bell were a sort of military reserve in case of crisis. They were also a demonstration of a country’s ability to found and cast. All those forest were preserved for the same reason, as you needed charcoal to feed the furnaces. In order to have charcoal you need wood and if you don’t preserve at least some forest land there wouldn’t be any charcoal for the foundries. Here’s a website with what the foundry looked like. During the middle of the 19th Century the development of new iron technologies changed all that. The time of bronze and wood was over the time of iron and steel was starting. In 1890 or so in order to have a viable military you needed to have a an “establishment.” That establishment contained a steelworks with hot blast and either a converter or open hearth furnaces, trained scientific metallurgists, a large machine shop with large tools capable of handling the largest gun parts, a chemistry lab and explosives manufactury and an optics industry. If your country lacked any of those things, you could no longer be a first rate power and would be reliant on the countries that did have those things to supply your military. The changes happened as a result of the metallurgical and tool advances in the third quarter of the 19th Century. The first half of the 19th Century was an incredible time for the advancement of metallurgy culminating in the middle of the 19th Century with the development of the Bessemer converter and the open hearth furnace at about the same time. The development of better and cheaper steels was paralleled by the transition of precision machine tools from instrument size to being able to machine truly large parts precisely. Here’s a post I did on the early history of this process. Update: Just when you think you are done some great stuff shows up. Video of the Armstrong works. And a German gun factory. 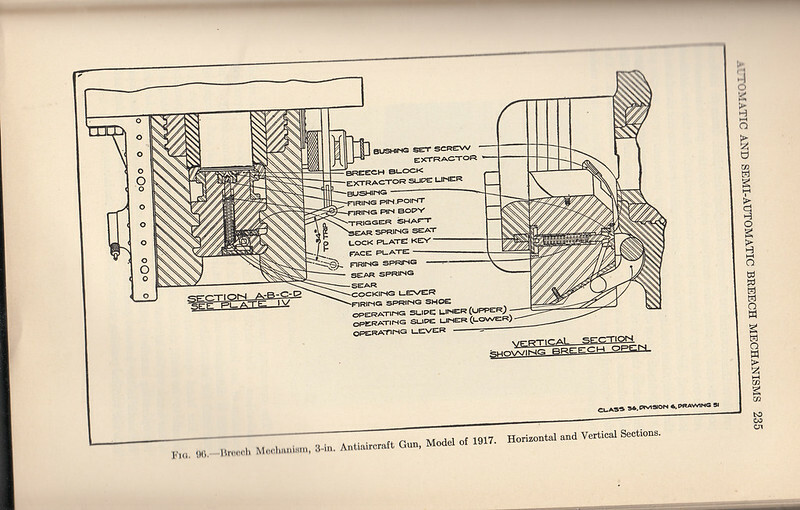 Here’s an excellent thread on the Practical Machinists forum on the sort of tools used to manufacture ordnance. This covers the period between 1880 and 1890 or so, right in the middle of the revolution. Here’s Lindybeige at Malta again with a large gun fabricated in the middle of the transition. The 100 ton gun that he’s looking at was fabricated in response to guns of similar size fabricated for two ships in the Italian navy, by the same foundry, Elswick, that built this gun, another one for Malta and two more for Gibraltar. Such was arms manufacture in the last quarter of the 19th Century. The funny part was that the whole lot of guns all the way around were quickly rendered obsolete by the advent of nitro powders and steel fabricated guns just about the time that they were completed. That’s how fast ordnance was changing. 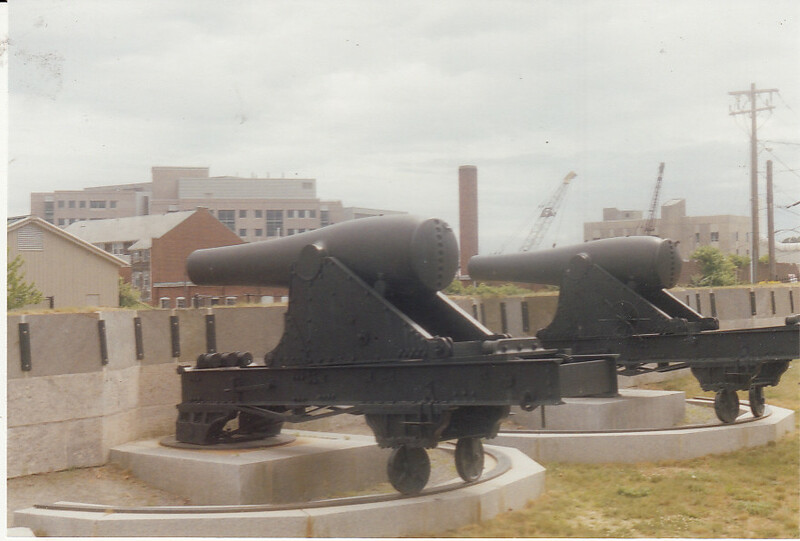 These guns were so large because the barrels were cast and wrought iron because high strength steels were just beginning to become available and while there had been machine tools, cutting steel precisely was in its infancy. That soon changed. This was crucial because when you can machine large rings precisely you can build up a gun with prestressed rings rather than having cast the gun in one piece. this makes for a far stronger barrel because the firing pressures have to overcome the prestresses before actually placing an outward stress and deflection. Using preloads is an engeering technique used just about in everything today, but the concept was new to 19th century ordnance. 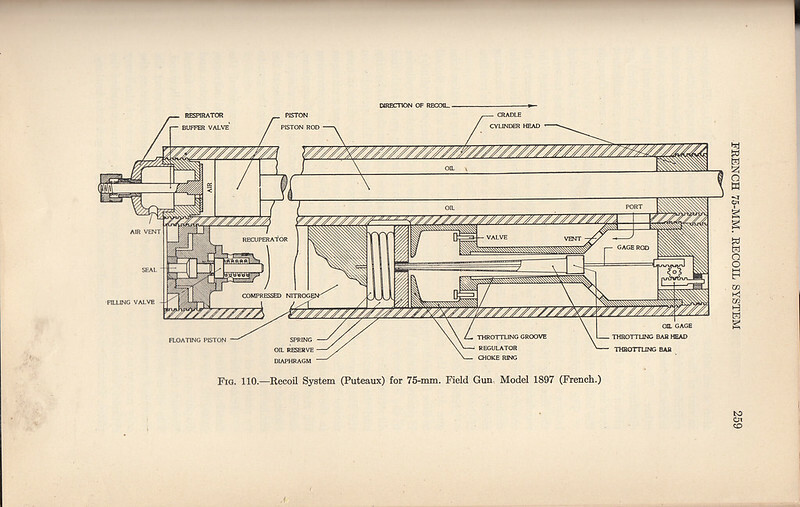 Here’s some built up guns from Elements Of Ordnance, a West point textbook in my collection. The tube strength could even be improved by cold working the center tube using a huge hydraulic press. Picture from Elements Of Ordnance. 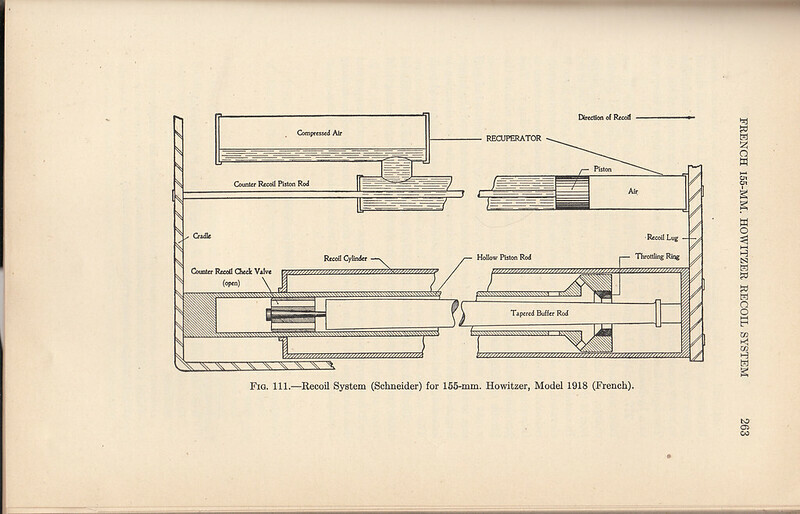 The development of tools that could cut iron and steel meant that the breech loader was now a viable proposition. Gun development for most of history was based on the muzzle loader simply because it was impossible to make a breech that would take the pressures of firing and seal tightly enough that gasses would not flare out the breech of the gun with consequences that might be imagined. Machine tools changed all that. Now the breech of a gun could be machined so that the breach would seal and still open quickly for reloading. Pictures from Elements Of Ordnance. Machining also allowed gun makers to develop carriages that controlled recoil and brought the gun back to battery. In the past, as the videos above show, recoil was handled by either letting the gun roll back on it’s trail or wheels or on a ship, tying a very thick rope around the breech and stapling the rope to the frames of the ship. Then the crew would take long rods and push the gun back to battery before reloading. On a ship there was always the possibility that either the staples or the rope would break, which is where the term; “loose cannon” came from. In either case the gunner would have to relay the gun with ever shot. Having a mechanism to control recoil changed all that. The purpose of a recoil mechanism or a recuperator as it is known is to adsorb the recoil of the gun, dampen in and return the barrel to battery without the carriage moving.. Most of the great powers worked on recoil mechanism in the 1880’s and 1890’s using various combinations of springs and pistons, the pistons being possible because machine tolerances made it possible to create moving parts that didn’t rattle around too much and could be sealed. The last quarter of the 19th Century could be said to be the race to the quick firing gun. This is the British entry in the race, the 18 pounder. The British were late to the race, much to their embarrassment in South Africa. It was the French though who were leading the race, having put all the pieces of the revolution together with the Canon de 75 modle 1897, The French 75. Probably no other gun in history is as well known, especially for technological leadership. The 75mm combined the new steels and machining with an advanced hydro pneumatic recuperator and the new smokeless powder in a fixed case round to produce what is commonly regarded as the first modern artillery piece. The heart of the M1897 was it’s hydro pneumatic recoil system. The recuperator was considered by the French as great military secret and they went to great lengths to conceal the details. consider the picture above with the cutaway. It’s both backwards and wrong. here’s another picture from Elements Of Ordnance done because the M1897 was used by the US army in WW1. World War One had greater diversity of artillery than any war before or since. Just look at the Pinterest board below. While there were thousands of 75’s and other field pieces of more or less the same performance and caliber in all the warring nations those were backed up by just about anything that could be grabbed from a fort someplace and fire a round down the tube, along with the best that the various designers and inventors could come up with as each problem in warfighting arose. The new guns created a fertile ground for experimentation on recoil mechanisms and engineers pursued new methods with greater or lesser degrees of success. Here’s some schematics from Elements Ordnance. It’s important to remember what the consequences of all this engineering was. If the machine gun stopped the infantry man and his rifle in his tracks, the modern artillery piece chewed him up and tore him to pieces. It was the artillery that made WW1 the carnage fest that it turned out to be. Tactics developed for the new guns like the creeping barrage created havoc on scale never seen before. The guns were also fed on a scale never seen before, with millions of shells being manufactured and delivered to the front by the trainload. It was the artillery that raised the cost of was to the point that it drained nations that no longer knew how to win, but were too afraid to lose. Thus an entire generation and entire nations became casualties of war. Modern artillery hasn’t changed really since WW1. There are fancy gadgets to help the reloading and accurate positioning to ensure accuracy but this modern gun in Afghanastan isn’t that much different from the 155mm GPF. But then it doesn’t need to be to get the job done. Elements Of Ordnance: This is textbook for West Point cadets and covers artillery in fairly great detail for 1938. Most of it is relevant to WW1. Available online at Google play. America’s Munitions 1917-1918: What America used during the war. 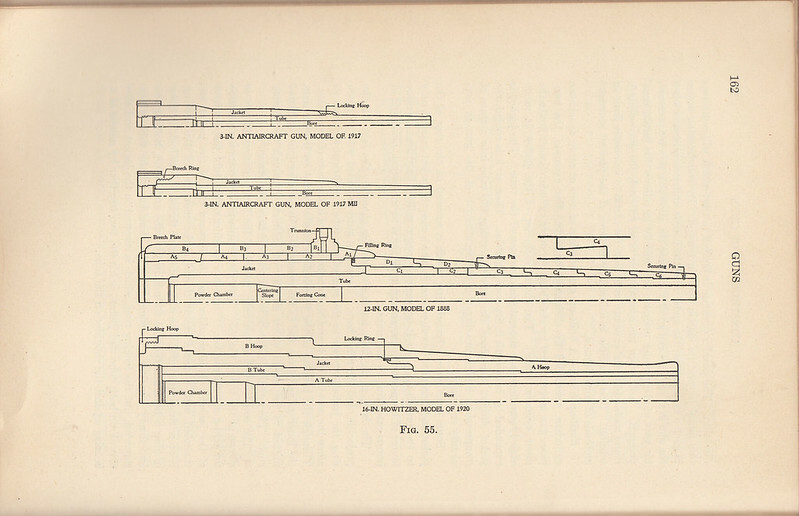 Navy ordnance activities : World War, 1917-1918 : The US Navy had a lot of stuff on land in WW1. Guns, An Illustrated History Of Artillery: Coffee table book that mostly covers guns from the period before the industrial revolution. Lavishly illustrated. Artillery by Ian Hogg, Illustrated by John Batchelor. I had a copy of this when I was a kid in the 1970’s and read it to death. I picked up another copy in hard cover. Still a good overall book on artillery. Allied Artillery of WW1, again by Hogg. Covers all the allied combatants and their artillery. Good reference, if sketchy on sources. German Artillery Of WW1. I haven’t read this book but It’s produced by the same people as Allied Artillery, so it’s probably pretty good.